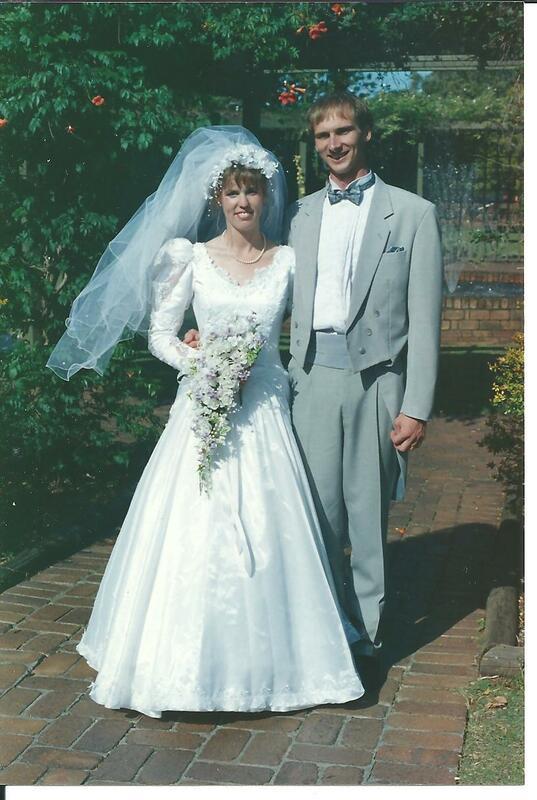 Nineteen years ago on this day, I married my beloved. On that day I was madly in love with my best friend. Today nineteen years later I am still crazily in love with him, though the love has changed, to a deeper, richer love. Love strengthened and forged by years filled with children, love and laughter, trials and triumph. A life packed with family needs, house buildings, career changes, study and so many other challenges. They have been busy years, rich years and definitely blessed years. Dreams do indeed come true. You can indeed marry your Prince. Congratulations to both of you, have a wonderful day. Congratulations to you and your Prince Charming. May God bless you both! The photo is beautiful. Happy, Happy Anniversary, Guys. You are both so young and beautiful in that photo! didn't even click at the date, should have remembered and rung you, anyway, Happy Anniversary! Happy anniversary, and congratulations on a beautiful, successful marriage. Congratulations on 19 happy years… May you be blessed with another 19 beautiful years ahead. Hey guys – congratulations! I didn't realise our anniversaries were so close together – we celebrated ours on Friday (the 9th) – just haven't had time to update my blog! I hope you had a wonderful day. God bless. Oh Erin, how sweet! I hope you had a wonderful 19th anniversary.